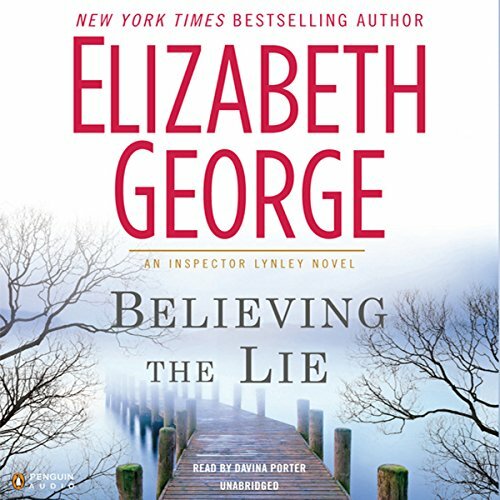 After writing 16 Inspector Lynley novels, New York Times best-selling author Elizabeth George has millions of fans waiting for the next one. As USA Today put it, "It's tough to resist George's storytelling, once hooked." With Believing the Lie, she's poised to hook countless more. 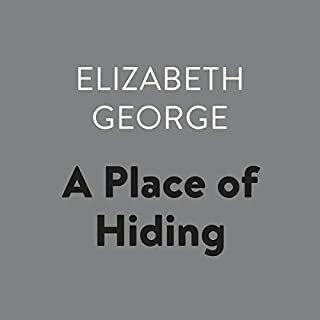 Deborah's investigation of the prime suspect - Bernard's prodigal son Nicholas, a recovering drug addict - leads her to Nicholas's wife, a woman with whom she feels a kinship, a woman as fiercely protective as she is beautiful. 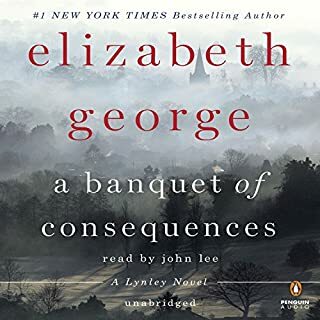 Lynley and Simon delve for information from the rest of the family, including the victim's bitter ex-wife and the man he left her for, and Bernard himself. As the investigation escalates, the Fairclough family's veneer cracks, with deception and self-delusion threatening to destroy everyone from the Fairclough patriarch to Tim, the troubled son Ian left behind. Disorganize story, hard to figure out all the characters. It is a different writing style then she usually has. Seems to be disorganized from what I read from her before. Bizarre turn from an established storyteller. 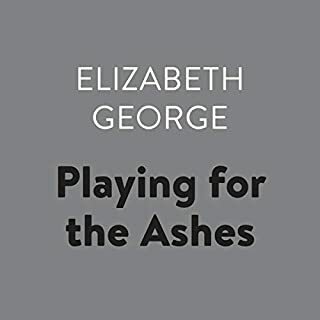 I would only buy an earlier work of Elizabeth George - I'm afraid this indicates a downhill trajectory. I'm looking for another mystery. What does Davina Porter bring to the story that you wouldn?? ?t experience if you just read the book? The narration matched the characters quite nicely, either strong or simpering. It made the entertwined stories easier to follow. I was quite disappointed and afraid this shows the author is losing touch with reality. The original premise doesn't make sense, and sends the main characters to a place improbably full of people with every kind of sexual secret. The gay men are all liars, cheaters or pedophiles, and the author works in way too many homophobic slurs and weird sexual connections. The main characters have lost all depth except self absorption. 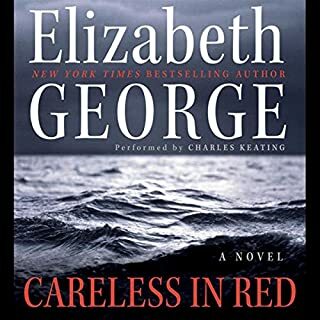 This is my last George book. If you could sum up Believing the Lie in three words, what would they be? What was one of the most memorable moments of Believing the Lie? 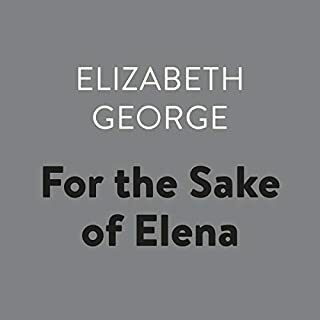 I adore Elizabeth George, so I couldn't wait to get this. It is good, but once the mystery was solved, I had a hard time listening to all the loose ends getting wrapped up. Some of it them were too cheesy for me. I want more Havers, Lindley and murder! It is just too long and too confusing. 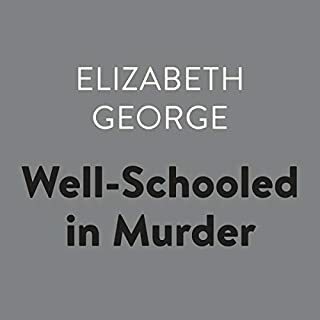 Elizabeth George is one of my favorite authors but this book feels like a mish-mash of short stories written by rookie writer wannabes compiled into a 23 hour painful mess! Has Believing the Lie turned you off from other books in this genre? 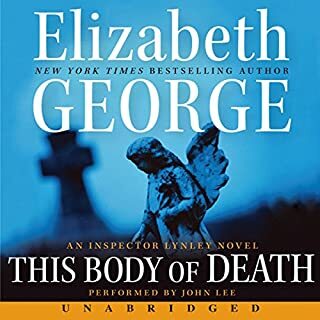 I've read or listened to many of George's prior books in the Inspector Lynley series and loved them, except for #16 "This Body of Death". It wasn't as good as its predecessors but it was no where as bad as THIS one!!!! Davina Porter is the reason that I decided to give George another chance. But she has nothing to work with here. Porter is great with different characters, sexes, dialects and accents. 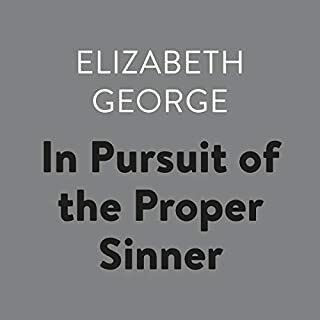 However, there are so many characters in this book - most of them forgettable - that Ms. Porter didn't stand a chance of delivering her usual masterful performances. By hour 10, everyone begins to sound alike. MAJOR DISAPPOINTMENT! Followed by acute narcolepsy! I turned on this book last night, without utilizing the sleep timer. I immediately fell into a deep sleep and slept for 10 hours straight until my phone battery went dead. I suffer from chronic insomnia and normally take a sedative to get 3-4 hours of sleep. But, thanks to this awful book, I may be able to flush my meds down the toilet! After missing out on 10 hours of this book while sleeping, when I went back to the book, I felt as if I hadn't missed a thing! I was already confused over the multiple weak story lines and a kazillion uninteresting characters BEFORE sleeping through almost half of this book. The main character, Inspector Lynley, gets totally lost in this offering. It is just too long! 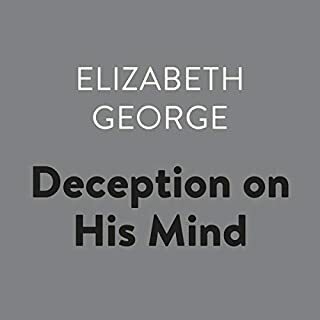 I don't think Elizabeth George could stand listening to this hot mess. I normally buy my audiobooks based on the reviews of Audible members. Unfortunately, I failed to read the reviews here. I bought this book because I'd just finished a great 4 book series narrated by Davina Porter, along with the author's reputation. I should have read and heeded the reviews. . 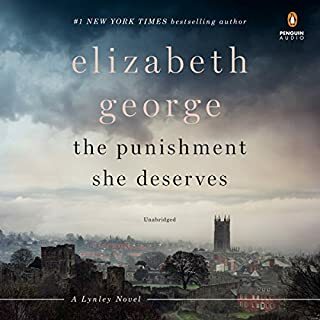 If "typical" is the Elizabeth George of the early 2000's, then this is yet another digression, or actually a series of digressions packaged into a novel. 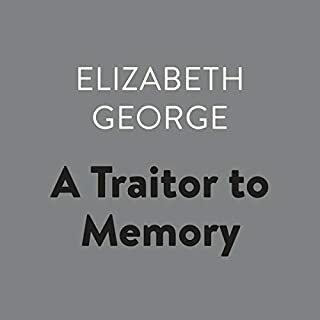 After dropping Elizabeth George while trying to wade through one of the several books that came between "A Traitor to Memory" and the present day, I was eager to try her again. However, I was again disappointed with the byzantine story arcs, the wealth of unnecessary detail, and the protracted scene development. I also had to ask, when in the middle of a particularly overdone scene, how important is this to the main story? And is there a "main" story? This novel seems to have the curious paradox of elaborate backstories on the one hand, combined with not enough detail on the other. I would not recommend this - simply because the reader receives not nearly enough benefit compared to the effort involved. 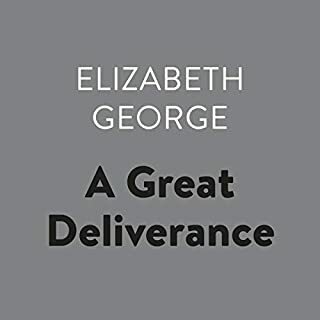 Technically, George is masterful, and manages abundant detail and descriptive passages with grace and expertise. However, she leads the reader into one disenchanted forest after another, which cannot be seen for the trees. Davina Porter's narration is excellent, as usual. 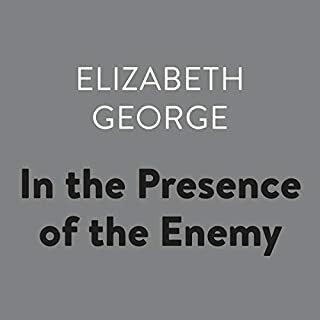 Her characterizations are relatable, precise, and the reader always knows who is speaking. But she's not enough to give this book the boost it needs to stay on track. Where does Believing the Lie rank among all the audiobooks you’ve listened to so far? One of the best I've heard. The story kept me listening all weekend. The long story with intricate plot lines are riveting. You never know if Elizabeth is going to save someone or not and it keeps you wondering and worrying. She has no favorites in age, gender, etc. Tim's problems are so devastating. 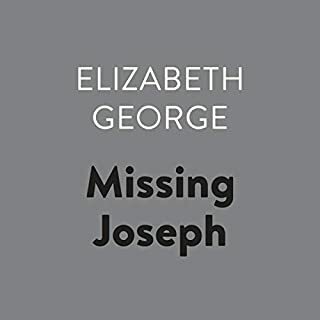 A very enjoyable listen - but not George's best. 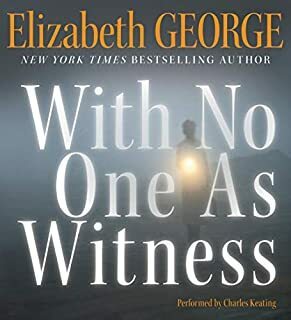 Would you be willing to try another book from Elizabeth George? Why or why not? Yes. As I said although this was not her best, she's a wonderful writer and not every book can be a masterpiece. Great accents, captured the personalities of the key characters well. Quickly becoming a former fan. 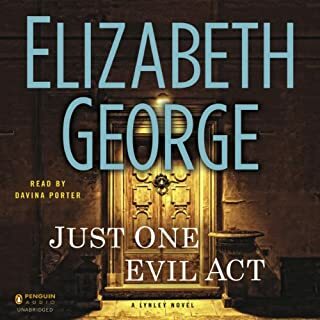 I love Davina Porter as a narrator and I used to eagerly look forward to Elizabeth George's novels, but this last outing angered me even more than the last. Her treatment of every single non-heterosexual character in this installment was appalling and frankly unforgivable. She could have eliminated extraneous, whiny and cliched characters to deliver a story with more depth and resonance. Tightening up of the narrative could have also done wonders. Do you think Believing the Lie needs a follow-up book? Why or why not? There will surely be a follow up, but I'm staying clear. Freddie was my favorite character. He just seemed to always know what to do, although he never made a show of it. What about Davina Porter?? ?s performance did you like? Great reader. Distinguished her voice for each and every character and I don't know how! I wanted to strangle some characters - actually, almost all of them! 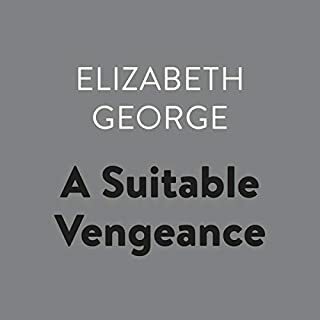 It was just what I would expect from Elizabeth George - delectable. Wonderful, complex characters you've come to know and love. Intriguing multiple storylines. 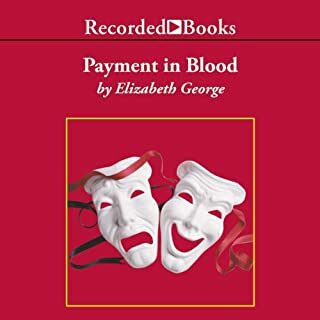 (Audible, PLEASE offer more of this author's UNABRIDGED past works.) And Davina Porter's narration, as always, is perfect.